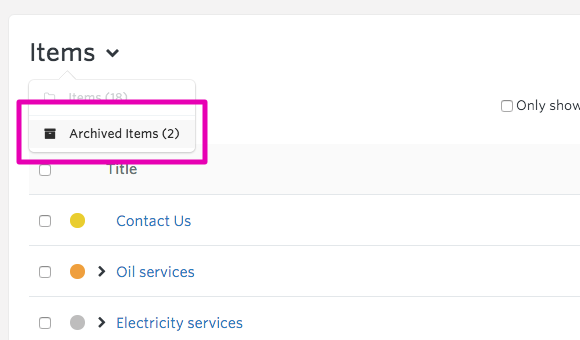 Instructions on how to delete Items in GatherContent. You should note that deleting an Item will permanently delete the Item, its content, any files uploaded to it, comments, notes, and all revisions from our servers: gone! To delete an Item you first need to archive it. The steps to delete an Entry Item are the same as that of normal Item. 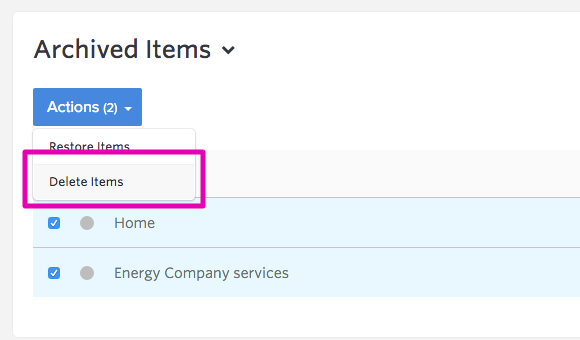 From the Content tab, click the Items dropdown and select Archived Items. 2. Choose the Items you'd like to permanently delete. 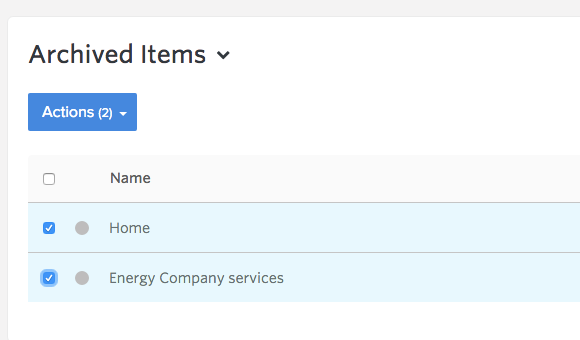 You can select multiple Items by selecting the checkboxes on the left. From the Actions menu, select "Delete Items". Tip: Only delete an Item if you're absolutely sure you won't need it any more. Once it's been deleted, it's gone forever!